Did Evangeline Lilly just pull a Tom Holland and accidentally reveal an Ant-Man and The Wasp spoiler? It sure seems that way. The Wasp herself posted a video on her Twitter with a very incriminating description. Obviously, POSSIBLE SPOILERS!! While celebrating the #NetNeutrality Senate win, Lilly compared that win to “Goliath” with “Thanos” to come. Now, at first glance it appears to be a “David & Goliath” comparison but it’s the “Thanos” that really separates it. This could also be a mixing of metaphors, seeing as how David took down Goliath but, as it stands, Thanos was the victor in his story. 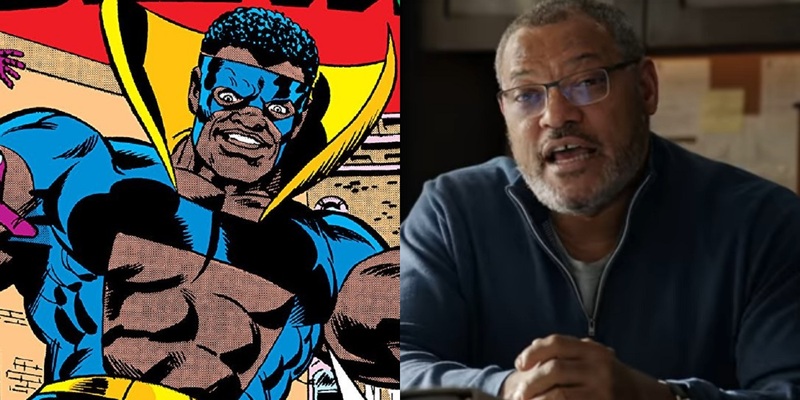 Could Laurence Fishburne’s Dr. Bill Foster be a secret villain in the upcoming sequel? We know Lilly is in Avengers 4 but we don’t know to what capacity. Not much has been shown of Fisburne’s character other than a funny dialogue between him and Paul Rudd’s Scott Lang at the end of the most recent trailer. It’s very possible Dr. Foster holds some sort of grudge against his old partner, Hank Pym (Michael Douglas) for some unknown reason. This could easily prompt him to suit up in his ‘Goliath’ moniker and join forces with Hannah John-Kamen’s Ghost. This is all conjecture so take it with a grain of salt. I’m glad we don’t know much about the film as of yet and if this turns out to be true, it will make for a great twist in an already anticipated movie. What do you think of all this? Did The Wasp ruin a possibly huge moment for the movie? Let us know @superbromovies on Twitter! Ant-Man and the Wasp will be released on July 6th, 2018.